You LOVE Piano is a piano studio on San Antonio’s Northside. The studio is conveniently located in Stone Oak and Encino area, just minutes from 281 and 1604 intersection. You LOVE Piano is the only studio that offers creativity-centered “Play a Story” program in San Antonio. Our creativity-centered approach help students see piano as a friend – an endless source of inspiration. Do all the learning in the lessons. Develop the skill of a lifetime to enjoy making music. The studio is located in Encino area – only minutes from 281 and 1604 intersection. It is easily accessible from Stone Oak, Bulverde, Gardenridge, Hollywood park and Hill Country Village. Convenient Hours on weekdays and weekend. 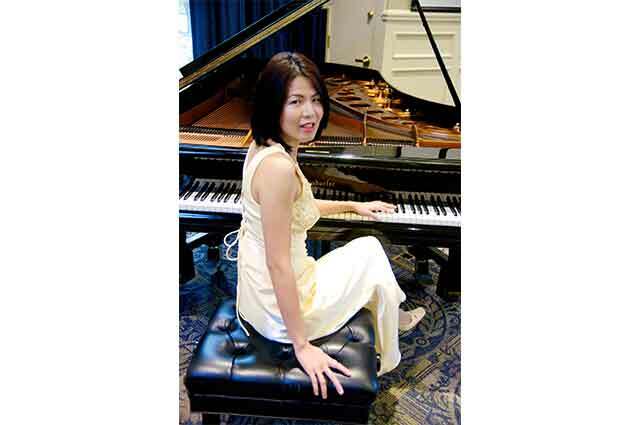 Karen Lien, passionate and caring piano teacher, collaborative pianist, blogger and author of Piano Playground, fascinated with music theory and history, best known for her creative teaching approach, owner of You LOVE Piano studio in San Antonio, TX and active member of MTNA, NFMC, AES. Seeing students and people around her succeed makes her happy. 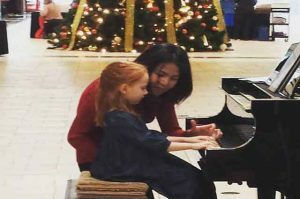 In between teaching and dreaming up lesson ideas, she enjoys making up stories and silly songs on piano, singing with her not-so-perfect voice, baking sweets, doing Yoga, and spending time with her husband, daughter and son. "I couldn't ask for a better introduction to piano for my daughter. Mrs. Karen is reflective with her methods and has a variety of ways to connect with individual learning styles."